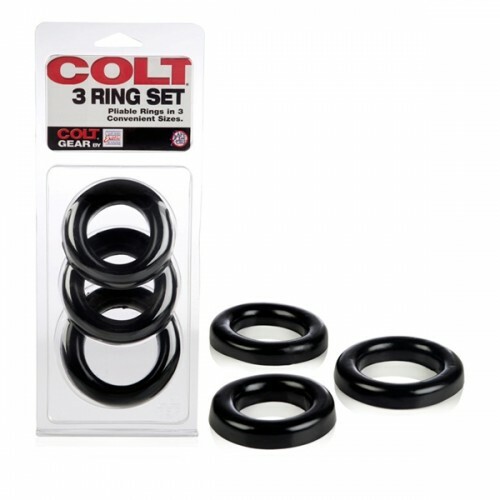 The COLT ® 3 Ring Set from California Exotics. A set of pliable rubber rings in 3 convenient sizes. For improved erections, performance and all round penile masculinity.